CAAM has awarded production and acquisition funds for nine documentaries by or about Asian Americans in 2014. 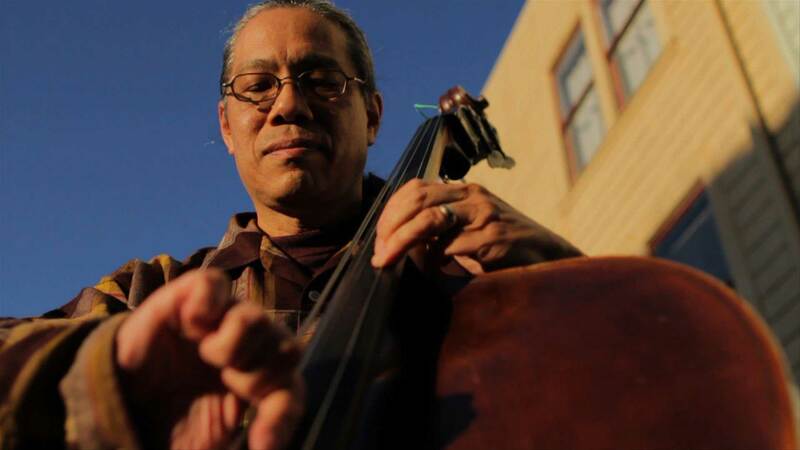 A supporter of independent filmmaking in Asian American communities for nearly 35 years, the Center for Asian American Media (CAAM) is thrilled to announce the 2014 Spring/Summer CAAM Documentary Fund Awards. Out of 33 submissions from across the country, seven projects were selected to receive production or acquisition funding totaling $147,000. “These independent films represent the best of independent documentary storytelling by and about Asian Americans,” says CAAM Executive Director Stephen Gong. “We are excited to partner with them and showcase them to a broad national audience.” These film projects will be slated to air on PBS and other public media outlets. With funding made possible from the Corporation for Public Broadcasting, CAAM has also provided $65,000 to two projects from the 2014 Fall/Winter Documentary Fund as well as $15,000 to a special PBS American Experience project about Vietnamese refugees and Vietnam veterans. Tippi Hedren and the first 20 Vietnamese manicurists, upon receiving their cosmetology licenses in 1975. Photo courtesy of Thuan Le. A fortuitous encounter with 20 Vietnamese refugee women and The Birds actress Tippi Hedren spurs a monopoly of Vietnamese nail salons in 1975. 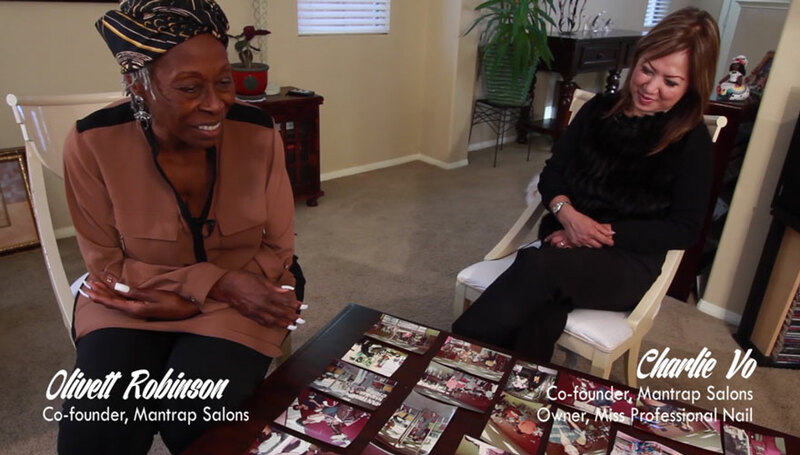 The legacy continues with “Mantrap” in 1981, the first nail salon chain to cater to black women in the hood. To today’s incredible 8 billion dollar nail industry, #NailedIt: Vietnamese & The Nail Industry charts the rise, struggle, stereotypes, and steady hold Vietnamese Americans have on nails. “Giap’s Last Day at the Ironing Board Factory.” Photo by Ed Krauter. In 1975, a seven-months pregnant Vietnamese refugee, Giap, escapes Saigon in a boat and, within weeks, finds herself working on an assembly line in Seymour, Indiana. Thirty-five years later, her aspiring filmmaker son, Tony, decides to document her final day of work at the last ironing board factory in America. It turns into a painful, but loving, journey. This half hour documentary explores the refugee experience, the communication gulf between parent and child, and how racism shapes the Asian American experience. Amid the bustling world of Central Oregon’s wild matsutake mushroom hunting camps, in search of the lucrative matsutake mushroom, two former soldiers find something else in the woods: a new family and livelihood—and, the means to heal the scarring wounds of war. Told over the course of one matsutake mushroom season, The Last Season is a journey into the woods, into the memory of war and survival, telling a story of family from an unexpected, hidden place. When one man’s passion for rock and roll coincides with a cultural revolution, the truth is set free. Like a Rolling Stone is a portrait of legendary American journalist, author and broadcaster, Ben Fong-Torres, an original editor-writer at Rolling Stone. Ben was 23 when he began writing for the gutsy start-up in its first year of operations from a loft above a San Francisco printing press through its meteoric rise into popular culture. The son of parents from China who emigrated with false identities, Ben brought an honest literary voice to the revolutionary force of music as the golden age of freedom of expression was breaking wide open. Never-before-made-public ‘lost interviews’ from Ben’s 45 years of chronicling rock and roll will feature some of popular music’s greatest artists. Jessica Cox was born without arms as a result of a birth defect, but managed to overcome many physical and emotional challenges to become fully independent. Cox learned to type with her toes, drive a car with her feet, and amazingly—fly an airplane with her feet. Rightfooted is both a portrait of Cox’s unexpected journey as she becomes a disability activist, and a very personal story—spanning over two years of her life during which time she gets married and begins a new life with her husband Patrick, while taking care of her Filipina mother Inez who is stricken with cancer. Tashi carries the turbine’s tail in Namdok, Nepal. Photo by Yen Tan. Tashi Bista dreams to install a makeshift wind turbine in Namdok, a remote village nestled high amongst the Himalayas of Nepal. Namdok, battered by wind and cold, has been in darkness for centuries. With very limited resources, he is determined to bring lights to Namdok in an effort to prove himself to the skeptical village community. Tashi’s Turbine is a character driven film that shows the impact of one man’s dream for light, in a village waiting for development. Refugees are flown in a helicopter, c. 1975. Photo credit: Hugh Doyle/Courtesy of American Experience Films. Rory Kennedy. Copyright Lyndie Benson. During the chaotic final days of the Vietnam War, the North Vietnamese Army closes in on Saigon as South Vietnamese resistance crumbles. As Communist victory becomes inevitable and the U.S. readies to withdraw, some Americans begin to consider the certain imprisonment and possible death of their South Vietnamese allies, co-workers and friends. Meanwhile, the prospect of an official evacuation of South Vietnamese becomes terminally delayed by Congressional gridlock and the inexplicably optimistic U.S. Ambassador. With the clock ticking and the city under fire, a number of heroic Americans take matters into their own hands, engaging in unsanctioned and often makeshift operations in a desperate effort to save as many South Vietnamese lives as possible. Patrick holds his daughter Natalya’s hand during one of their weekend visits together. Photo courtesy of eyeWANG Pictures. Offering a rare look at the inner workings of the American child welfare system, Tough Love chronicles the lives of two parents—a white father in Seattle and a Bangladeshi mother in New York City—as each fights to be reunited with children taken out of their custody. Through intimate, verité footage of both families, we witness first-hand the complex bureaucracy of America’s child welfare system. Moreover, we come to understand the powerful role poverty and prejudice play in keeping parents and children apart—and the challenges parents must overcome in order to put their families back together. Tyrus Wong. Warner Bros. circa 1940s. Photo courtesy of the filmmaker. In 1919, nine-year old Tyrus Wong arrived at San Francisco’s Angel Island accompanied only by his father and a passion for drawing. This passion would lead him on an artistic journey through the 20th century where he became a WPA artist, pioneering modernist painter, Hollywood illustrator, and “Disney Legend” for his groundbreaking work on Bambi. 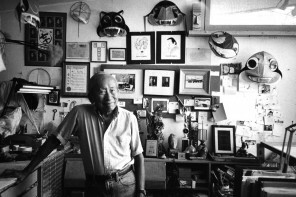 At 103, Tyrus Wong is considered a living legend. Tyrus Wong: Brushstrokes in Hollywood captures the remarkable story of how this young boy from Guangzhou, China overcame a life of poverty, racism, and discrimination to become a highly accomplished artist and his enduring impact on animation and American culture today. The Center for Asian American Media (CAAM) is a nonprofit organization dedicated to presenting stories that convey the richness and diversity of Asian American experiences to the broadest audience possible. CAAM does this by funding, producing, distributing and exhibiting works in film, television and digital media. For more information on CAAM, please visit www.caamedia.org. Main image: Olivett Robinson and Charlie Vo, co-founders of Mantrap, the first nail salon chain. Photo courtesy of Adele Pham.